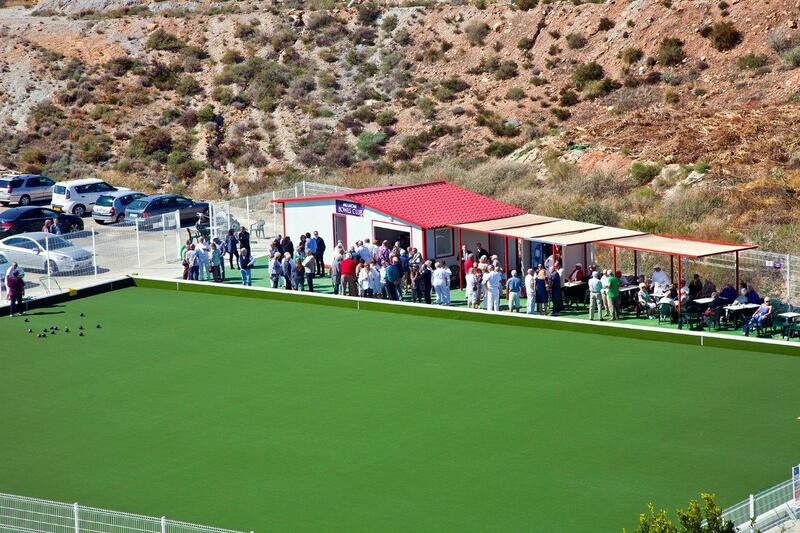 Mojacar Bowls Club has 6 full size rinks and a brand new Dales artificial bowls surface. Avenida del Mar ,7 Urb Marina de la Torre ( Mojacar) CP 04638 ( behind Hotel Servigroup Marina Mar). Our club house includes toilets and a snack bar from which the staff from the ServiGroup Hotel Marina Mar serve excellent snacks and drinks. 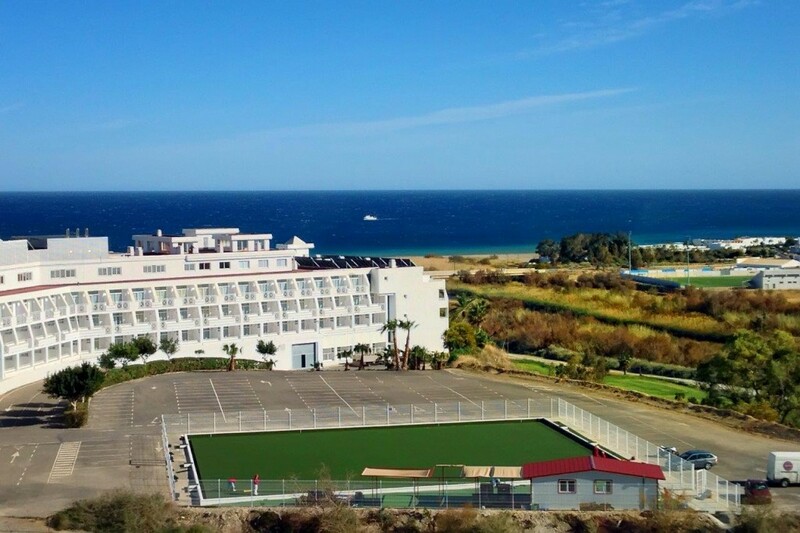 The green and club house can be found 50 m from the Marina Mar hotel in the Marina del Turre area of Mojacar. The club is very friendly and new members and guest are always made welcome. Club days are Tuesday, Thursday and Saturday mornings from 0930, come along and enjoy a mornings bowling or just have a drink and a chat. “From the green there are fantastic views of Mojacar Village and the sea. The annual launch of the new season BMW motorcycles, 4×4 championship events, sub aqua diving and padel tennis events. We have an excellent fitness and wellness centre. 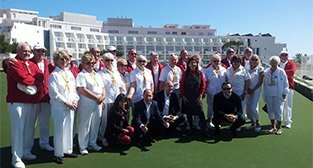 We do everything possible to provide everything our visiting sports men and women may need, we can tailor a package to meet your individual requirements and players visiting Mojacar Bowls Club, are guaranteed a excellent deal at the best price. Visit our web site at www.servigroup.es and take a video tour of the Marina Mar and Marina Playa hotels. With an area of 625 square metres and special artificial grass, the outdoor playing area can accommodate up to 48 players at one time. 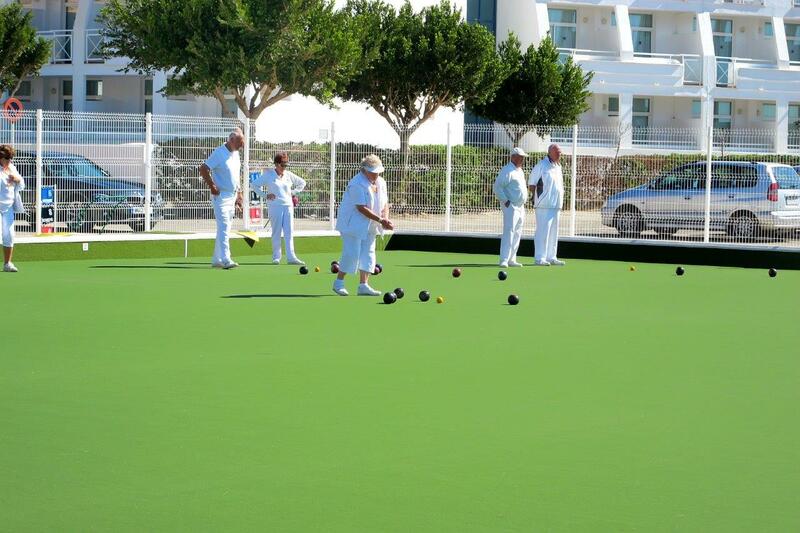 The bowling club is fully equipped with a clubhouse, bar terrace, bowling carts, scoreboards, offices and toilets. Annual Membership Subscription – 190 Euros per person. Tuesday, Thursday and Saturday 09.30 am for 10.00 am start. Winter – (1st November to 30th April) – Tuesday Thursday and Saturday 09.30 am start. Fergus Style Palacio Mojacars **** Spa Adults Only 4-star hotel This property has agreed to be part of our Preferred Property programme which groups together properties that stand out thanks to their excellent service and quality/price ratio with competitive prices. Participation in the programme requires meeting a specific set of criteria and takes into account feedback from previous guests. Located 5 minutes´ walk from the nearest beach, Fergus Style Palacio Mojacar **** Spa features spacious gardens. The hotel offers a gym, communal outdoor pool and terrace with sun loungers.